While we all enjoy a big fight feel, boxing is about the journey as well as the destination and without the top heavyweight division prospects – or indeed those of any class – there’d be no future to this sport. Anthony Joshua and Deontay Wilder may be the top dogs in the heavyweight division right now, but, with the big men, more so than any other division in boxing, that could all change with one punch. Both were once just top heavyweight division prospects – here’s who’s coming for their crowns. That’s why undercards exist. Across the globe, talented young heavyweights are skipping along a series of carefully-curated career stepping stones, designed to deliver them to the point where they dethrone a champion in the fight game’s gold-standard category. Here, take a look at how the future of the weight class is shaping up. Check out our top five heavyweight division prospects for professional boxing. A logical place to start is with the men who fought as amateurs at the last Olympic Games, held in Rio de Janeiro during the summer of 2016. 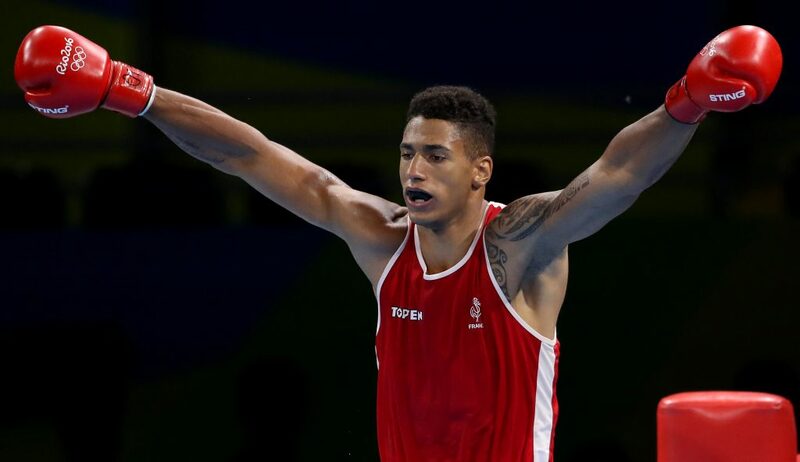 Super heavyweight gold medallist at the tournament Yoka has subsequently turned professional after triumphing in the over-91kg category. The Paris-born fighter, 26, is five out of five since joining the paid ranks, winning four of those by knockout. Yoka made headlines for all the wrong reasons in 2018, however, when French anti-doping authorities slapped him with a one-year ban after he missed multiple drug tests. In the current climate, where any person in sport can so easily tarnish their image if there’s even a hint of a scandal relating to drugs, it hasn’t done Yoka’s burgeoning reputation much good. This isn’t the first time he’s courted controversy either. Many commentators felt the gold medal in Rio should’ve gone to Joe Joyce, who boxed Yoka in the super heavyweight final. The judges scored otherwise. All that aside, Yoka is clearly one of the top heavyweight division prospects and boxing fans should follow his future career with great interest. But for that questionable decision in Yoka’s favour, Joe Joyce would’ve followed in the footsteps of fellow British boxer and William Hill Brand ambassador Anthony Joshua as an Olympic gold medallist. 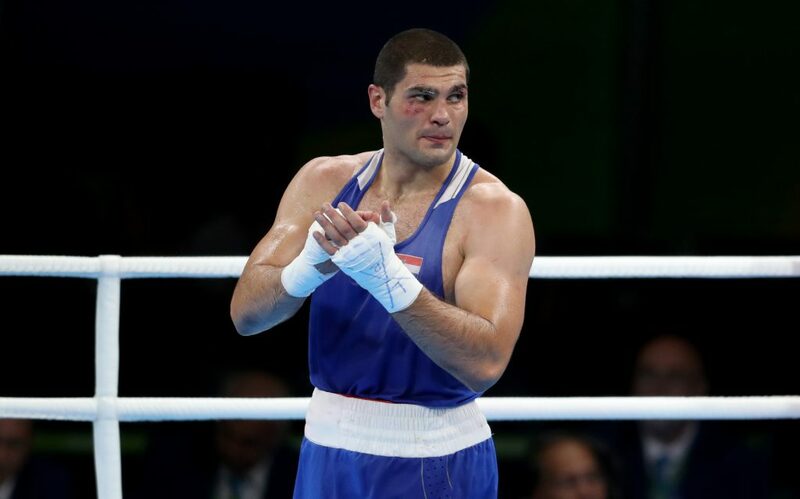 His previous amateur exploits included triumphs at the Glasgow 2014 Commonwealth Games and 2015 European Games in Baku, also in the super heavyweight class. Such an extensive amateur background was always going to stand Joyce in good stead when he turned professional and he is now six wins from six, all by way of stoppage, since doing so. In time, and provided his career continues with wins, Joyce should emerge as a contender for one of the many heavyweight titles on offer. Looking at Joshua’s success in the paid ranks, however, there may be even greater ambitions than that and it marks Joyce out as one to watch. Another Rio Olympics medallist, Hrgovic of Croatia, also warrants attention. He bagged bronze after losing to Yoka in the semi-finals in Brazil and had also previously suffered defeat to Joyce as an amateur. As with those rivals, an extensive background in the sport before turning pro has helped Hrgovic since he joined the paid ranks and debuted in September 2017. His professional career began with consecutive first-round knockouts and he has five KO victories from six winning fights so far. Long before he stepped between the ropes as a pro, however, Hrgovic had been well-regarded behind the scenes. Kubrat Pulev’s camp used him as a sparring partner when the Bulgarian boxer was preparing to fight Wladimir Klitschko back in 2014. It’s also said Hrgovic was the cause of David Haye cancelling his bout against fellow Briton and subsequent world heavyweight champ Tyson Fury in 2013 when the Croatian cut the Hayemaker in a sparring session. If leading professional boxers have been training with him, it leaves Hrgovic as perhaps the most serious of the top heavyweight division prospects. Moving away from the Olympic route now and Daniel Dubois is just 21 years old. However, this Londoner already has eight knockouts and an English title win to his name from nine unbeaten fights and the youngster from Greenwich looks to have a bright future ahead of him. Dynamite wasn’t taken beyond the third round until his ninth pro bout and, while you can’t help but feel sterner tests lie ahead, he is also building up a decent reputation for himself. Boxing promoter Frank Warren spotted his potential early and signed him up in January 2017 while still a teenager. As well as his British belt, Dubois has also held the WBC youth heavyweight title. With a global boxing organisation already recognising him, that’s further evidence of the impression he’s made in the sport already. Alongside fellow Briton Joyce, Dubois looks to be a major hope for the future. He may lack the extensive amateur experience of his compatriot, but it demonstrates there’s more than one way to skin the proverbial cat and get into professional boxing. Ukraine-born Canadian representative Teslenko completes our list and is arguably the best known of the top heavyweight division prospects in the whole of North America. Through an extensive junior and amateur career, he already has over 250 fights under his belt. The 26-year-old has knocked out 11 of his 14 opponents since turning professional in 2015 after emigrating to Toronto. Wherever he trains and whatever nation he represents, he is part of the rich boxing heritage that is tied to Ukrainian sport through the Klitschko brothers, Oleksandr Usyk and Vasyl Lomachenko. Already earning The Panther as his nickname, Teslenko has even travelled south for a few bouts in the United States and returned to Canada victorious. He looks a dangerous opponent for any up-and-coming heavyweight on that side of the Atlantic. With so much experience already accrued in his native Ukraine and now in the paid ranks, he’ll soon be staking a serious claim for a title shot. If you fancy betting on the boxing, step into the ring with William Hill, the bookmaker that brings you more. Bout betting is only tip of the iceberg when it comes to the range of markets available on all the biggest showdowns, with round betting, method of result and fight-to-go-the-distance odds to get stuck into. Check out our traders’ prices on the next big boxing contest.